2. Peel and chop the carrots, place in a roasting pan and toss with 1 tablespoon of oil, ground mustard and garlic powder. 3. Spread out in an even layer and roast in the oven at least 20 minutes. 4. 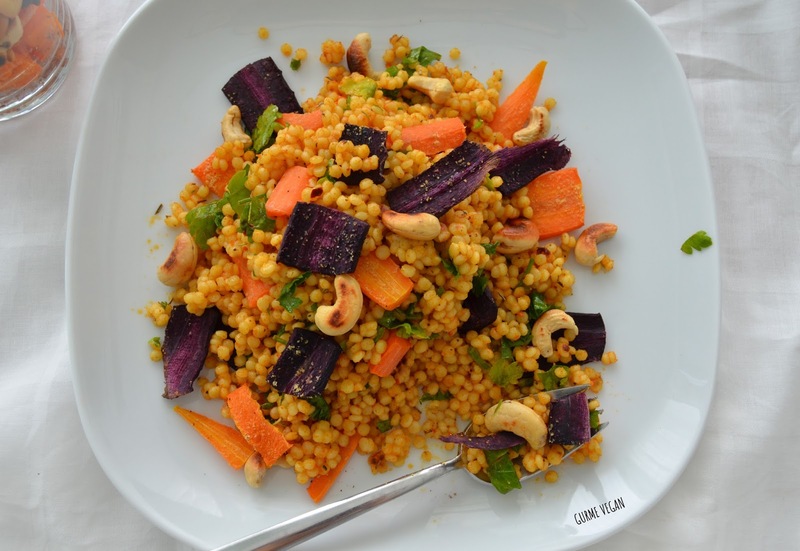 Wash and strain couscous, cover with water and cook for 10-15 minutes. Drain and set aside to cool. 5. 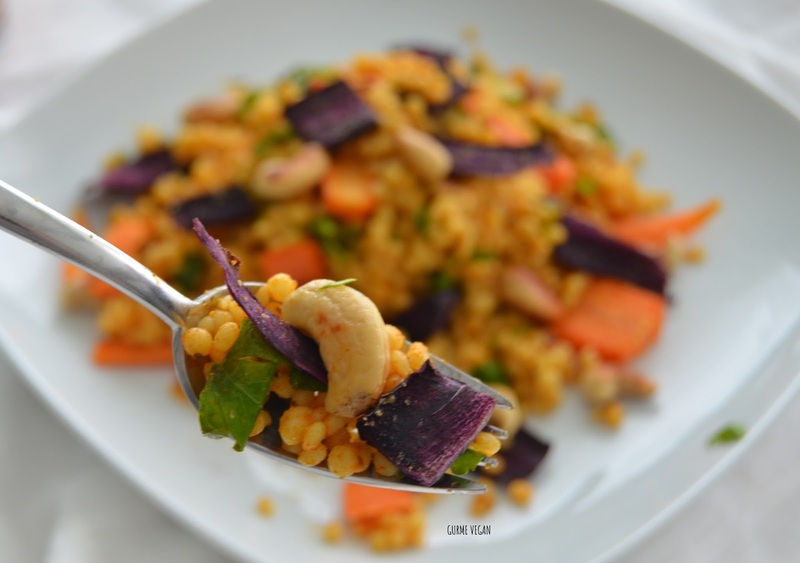 Place the cashew nuts in a pan and cook them over medium heat for a few minutes until golden brown. Make sure you stir often as they can burn easily. 6. 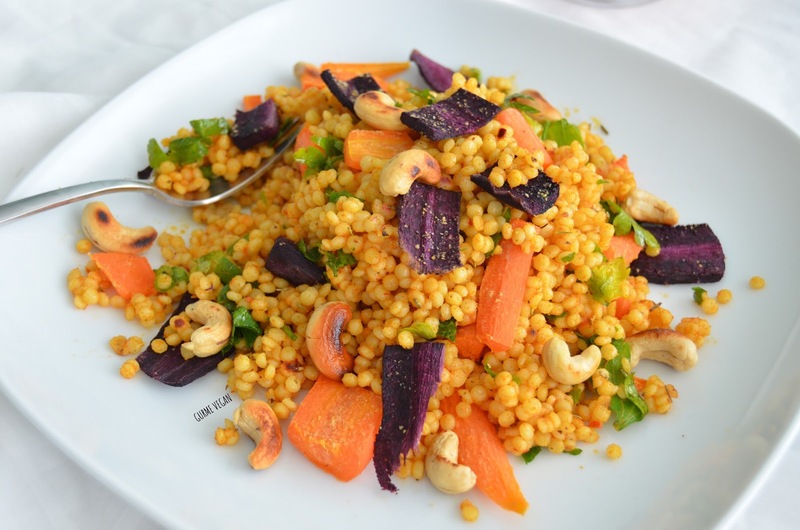 Mix carrots, couscous, chopped parsley and the cashews together and dress with the remaining tablespoon of olive oil, other herbs, mustard sauce and lemon juice.